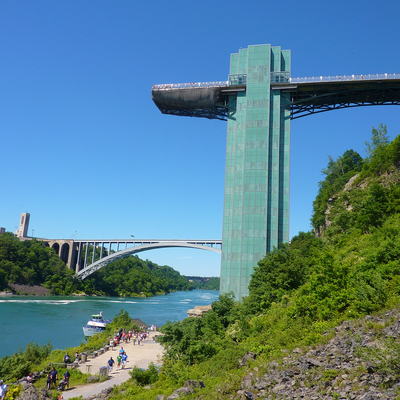 The observation tower on the American side of the Niagara River just below the falls, with the bridge in the background. Add tags for "The observation tower on the American side of the Niagara River just below the falls, with the bridge in the background.". Be the first. <http://www.worldcat.org/oclc/841444974> # The observation tower on the American side of the Niagara River just below the falls, with the bridge in the background. schema:about <http://www.worldcat.org/oclc/841444974> ; # The observation tower on the American side of the Niagara River just below the falls, with the bridge in the background.